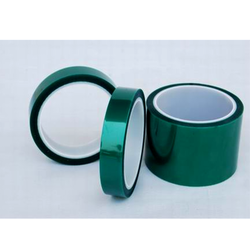 We are a leading Manufacturer of green polyester tapes from Bengaluru, India. The quality Polyester Tapes offered by us are known for good shape, fine texture, high fastness to wet and dry rubbing. Further, these are environmentally friendly. These are offered in standard and customized options as per clients’ specifications.